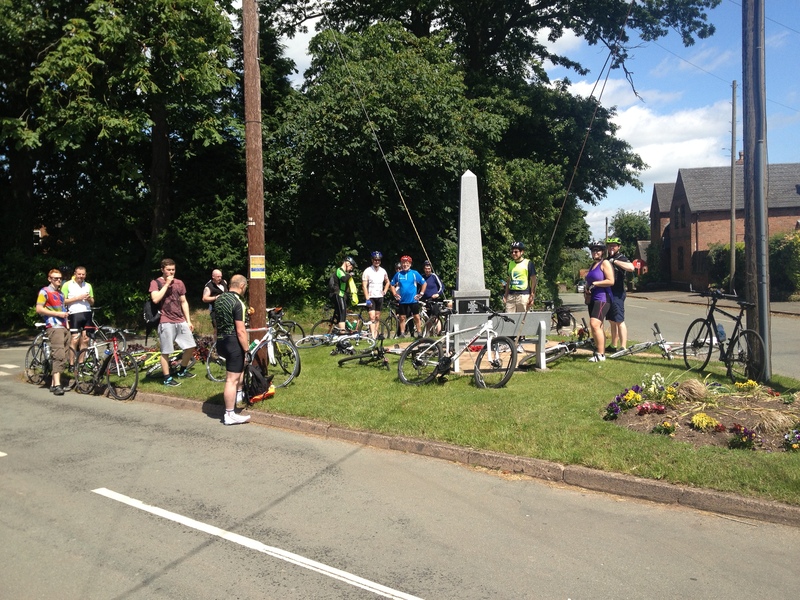 I led my first Skyride of 2013 around the scenic countryside and lanes of Sutton Coldfield and Tamworth yesterday. At 09-30am participants started to turn up at the start of the ride on a variety of bikes including – road bikes, mountain bikes and one brave chap on a single speed fixie. The ride started at 10-00am and after giving a safety briefing to the 20 participants, myself and the two assistant ride leaders Dave and Rob set off from Sutton Park out into the Staffordshire Countryside. The weather was sunny with a gentle breeze to keep us cool on the inital steep climb on Cardiac Hill out of Sutton Park. At this point we lost 2 riders to a broken chain. 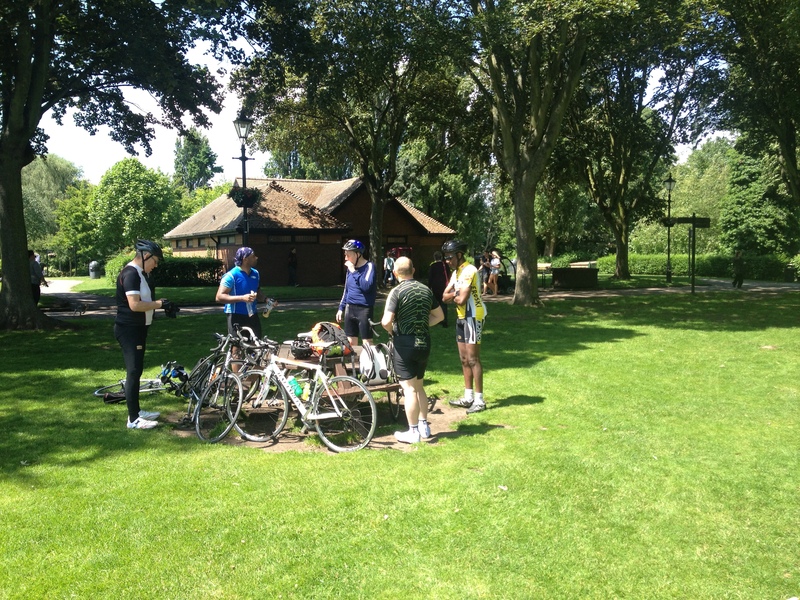 During the ride we stopped in the grounds of Tamworth Castle for a refreshment break which then gave everybody a boost to complete the last 10 miles back to Sutton Park. The group all completed the ride successfully. 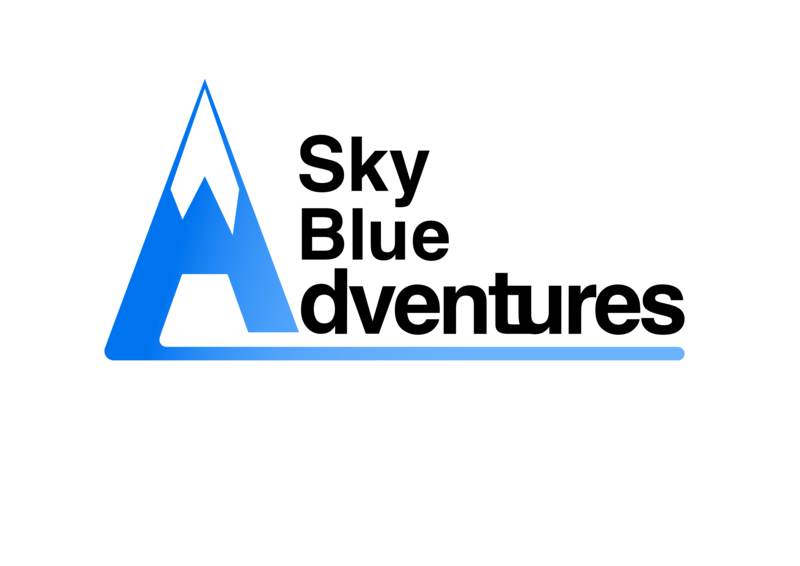 Looking forward to next weekend now for a 3 mile Sky Ride around the lakes at Kingsbury Water Park.